This 2008 year in review covers some of the aspects that made 2008 significant, memorable, poignant, or otherwise for me. I trust that you find some aspects meaningful to you as well. First is the passing of Paul Newman at the age of 83yrs. I grew up with Paul, he was one cool cowboy in the early western movies I would watch. But it would seem we both grew to have a love of motorsports, howbeit from two completely different directions, and yet exactly the same. This 7 minute video tribute, remembers a man with compassion, committement, and a vision. Rest in Peace Paul. 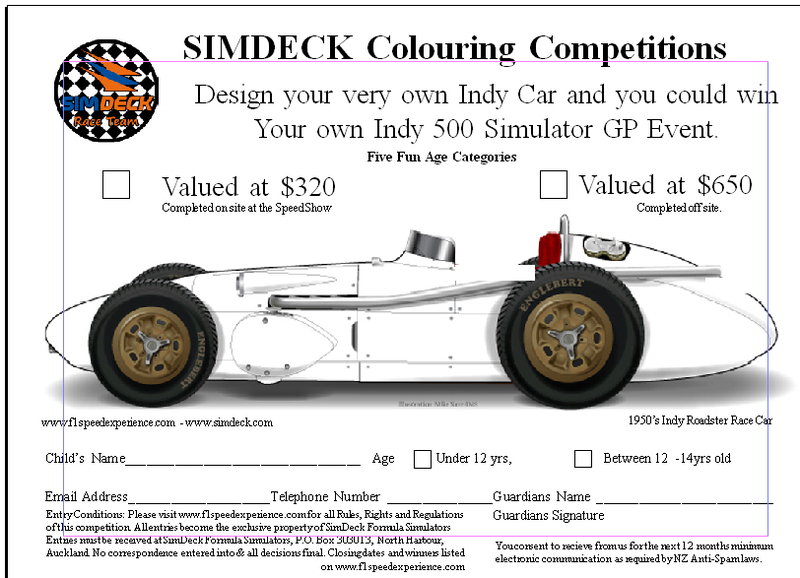 We launched the SimDeck Indy 500 Colouring competition at the Speed Expo a few weeks back. We have two cars to choose from. The Scott Dixon Indy 500 car and one of the early Indy 500 Roadster cars. Man and machine, no computers to power these cars, just steady nerves and without fear. For those who never attended and would like to enter, simply email us at sales@simdeck.com and make sure you have in the Subject Line – Colouring competition and we will email the preferred picture to you. The competition is open to to children up to the age of 14 years and falls into two age categories. The prizes includes race time here at SimDeck Race HQ in the PET250 simulator. 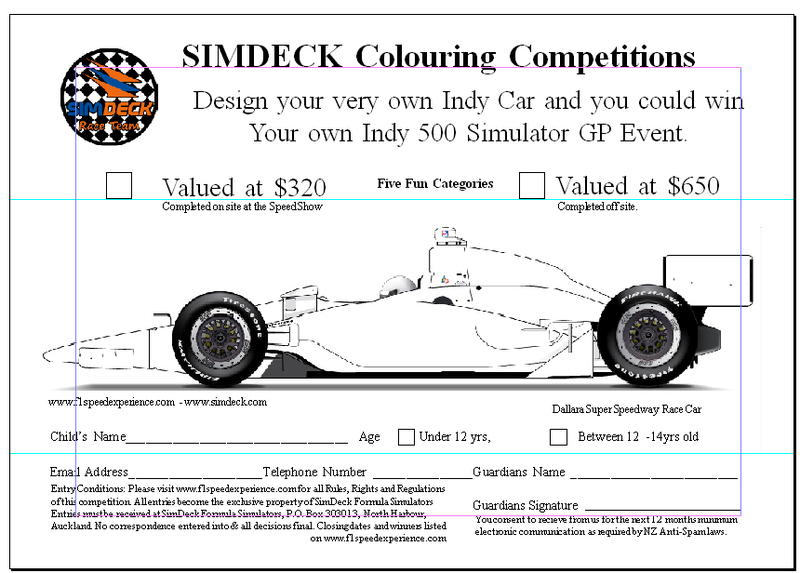 So get the colouring pencils sharpened and make your chance to race in the SimDeck PET 250 race car simulator. Competition closes 5pm 30 November 2008. All entries become the property of SimDec Simulators. Winning Entrants and their guardians give permission to appear in publicity materiall and announcement. A Kiwi rules the US motorsports – wow! Drama in Belgium and Chicago had the two top drivers in the world unable to sleep after their respective races. Scott Dixon, who has now got to be the most eligible sports person for NZ’s top sports award – Halberg Awards, after his amazing win of the Indy Car Series 08 he and Emma would have been partying and celebrating long into the evening …the relief he must be now feeling that 2007 did not come back to haunt him. Fantastic win Scott and hope you win the NZ sports award later this year. The photo finish where he came second still secured him as the clear leader of the entire Indy Championship for 2008. Fantastic effort Scott. Enjoy the feeling it must be amazing experience. To celebrate Scotts win we are now running a special promotion for companies wanting to recreate the Indy experience for their next staff social, event or networking function. Details are on the Page links. 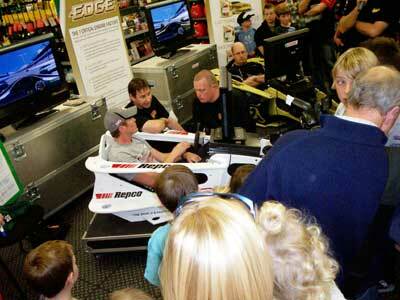 The SimDeck PET250 full size race car simulator will create the drama at your next event and puts everyone in the hot seat. Scott is returning to NZ for a private visit next week and will be visiting the Auckland Speedshow on the 20th September. www.speedshow.co.nz. We have an open invitation for Scott to see him demo that uncanny ability to take the winning flag. 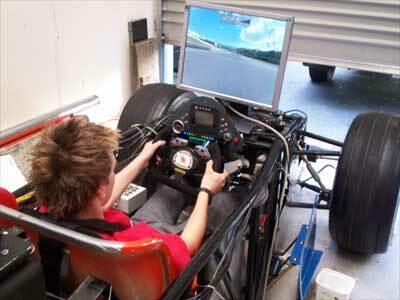 So be sure you’re at the show to see Scott in the SimDeck PET250 simulator when he visits. (His race in the SimDECK PET250 will be a spontaneous occurance) Visitors will be able to establish their race time to see if their egos can stay intact before an enthusiastic audience of motorsports fans. Scott’s dreams were created in childhood and today became the brightest star in NZ motorsport where he conquered the greatest motorsports event in the USA…not bad for a Sunday afternoon drive where he also won $NZ3.22million dollars and the closest finish in Indy sports history. Frustration reigns though in the McLaren camp and Lewis Hamilton must have been hoping it was all a bad dream when he eventually retired for the night, however I doubt if he got any sleep. Take a lap on the following video of this high speed circuit 40km from Brussels. Featuring the Eau Rouge corner it is a corner for those with steady nerves and the ability have your stomach in your mouth ! It is one of the courses we feature on the SimDeck PET250 simulator.